Ucraina, fronte russo, estate del 1942: un reparto di carri armati del C.S.I.R. di ritorno da una azione di guerra, riceve l'ordine di spostare altrove il proprio campo base per favorire una manovra bellica. Uomini e mezzi si spostano secondo il piano stabilito, tranne il cappellano militare del reparto che rimane ad assistere un carrista ferito non trasportabile. Catturato dai russi riesce a fuggire e trova rifugio insieme al ferito in un casolare, dove ha modo di esplicare il suo apostolato tra donne e bambini che vi si sono rifugiati. The Russian Front in the Ukraine in the Summer of 1942. A unit of Italian tanks returning from battle receives an order to relocate their base to support an offensive action. The men and machines move according to plan, except for the unit’s chaplain, who remains behind to care for a wounded tank gunner, who can’t be moved because of his serious injuries. Captured by the Soviets, he manages to escape and find refuge in a cottage, where he’s able to spread the word of God among Russian refugees. Dedicated to all those chaplains, “who died bringing God to a land without God”, the movie is incredibly almost anti-War and compassionate in its treatment of the enemy. 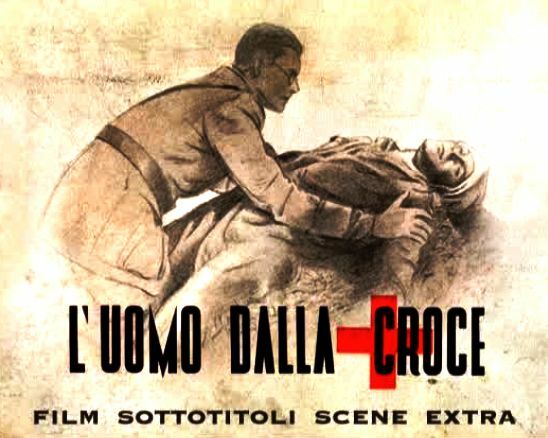 That this film was able to get past fascist censors speaks a great deal about Italian Fascism versus that of their so-called German allies. By the end of the year this film was put out, Italy surrendered. DVD-R is in Italian with switchable English subtitles. There is a German newsreel along with the film, which was put out about the time this film came into circulation. Approx. 84 minutes total. Some pixellization.